A plane carrying a Brazilian football team crashed in the mountains in Colombia, killing an estimated 75 people while six survived, including several players, officials said. The LAMIA airlines charter declared an emergency at around 10 p.m., reporting it had suffered "electrical failures," and crashed a short time later near the city of Medellin. The plane was carrying members of Chapecoense Real, a Brazilian football club that had risen from obscurity to reach the Copa Sudamericana finals, which were set for Wednesday against Atletico Nacional of Colombia. "The pain is terrible; just as we had made it, I will not say to the top, but to have national prominence, a tragedy like this happens. It is very difficult, a very great tragedy," the club vice president, Ivan Tozzo, told Globo SportTV. Brazil's President Michel Temer declared three days of mourning for the victims. Football stars including Argentina's Lionel Messi and retired legend Diego Maradona led tributes to the players and messages of mourning. "Sadly those lads, who were on the way to becoming a force in football, took the wrong plane," Maradona said. The civil aviation authority said six of the 81 people on board were known to have survived the crash, which left the plane's wrecked white shell plastered over a hillside. Brazil's National Civil Aviation Authority said the team flew on a commercial flight to Santa Cruz in Bolivia, where they switched to a Lamia charter flight bound for Colombia. The airport statement said the plane's crew "declared it had electrical failures." The mountainous terrain was some 10,800 feet above sea level and very difficult to access; rescuers carrying stretchers had to hike for more than half an hour to reach the site. The flight was operating from Santa Cruz (VVI) to Medellín (MDE), a distance of 2,975 kilometers. LMI2933 departed Santa Cruz at 22:18 UTC. The last message received was at 02:55 UTC passing 15,500 feet AMSL, approximately 33 kilometers south of Medellín Airport. The location of the crash is approximately 17km from the airport. The aircraft was a British Aerospace Avro RJ85, registered CP-2933 (CN E 2348). It first flew in 1999 for Mesaba Airlines in the United States before flying for CityJet in Europe until 2010. It began operating in South America in 2013 after storage. My thoughts and prayers go out to the immediate family and friends and of course everyone at Pakistan International Airlines. A major fuel shortage at Melbourne Airport is causing flight delays and forcing some international flights to divert to make expensive fuel stops elsewhere. The airport reportedly has less than 2 million litres of aviation fuel available after a recent shipment failed quality-control tests. International airlines were advised on Thursday night that the fuel supply status at Melbourne Airport had been changed to "black", meaning fuel would be rationed. The situation is understood to be far more severe than the fuel shortages in January and October last year. "Regrettably, the current jet fuel shortages are affecting international airline operations at Melbourne Airport," said Barry Abrams, executive director of the Board of Airline Representatives of Australia. "Airlines are doing all that they can to minimise the impact of the shortages, but the main responsibility lies with the existing jet fuel suppliers." Four international Jetstar flights departing from Melbourne Airport yesterday had to divert to either Sydney or Brisbane before making their way to their final destination to refuel. The additional stopovers are expected to add an hour to people's travel times. Meanwhile, Virgin is warning its customers some of its flights may be disrupted because of the fuel shortage. "We apologise for any inconvenience this may cause and are working hard to have our guests on their way as quickly as possible," a spokeswoman said. While no domestic Qantas flights have been affected, two international flights departing from Melbourne Airport - one destined for Hong Kong and another for Singapore - were today forced to stop over in Sydney to refuel. Australia imports more than 40 per cent of its jet fuel. A decade ago, seven fuel refineries were operating in Australia, but that number fell to four last year following closures in Sydney and Brisbane. Melbourne Airport has called on all fuel suppliers to "exert every possible effort" to meet their commitments to airlines flying from Tullamarine. 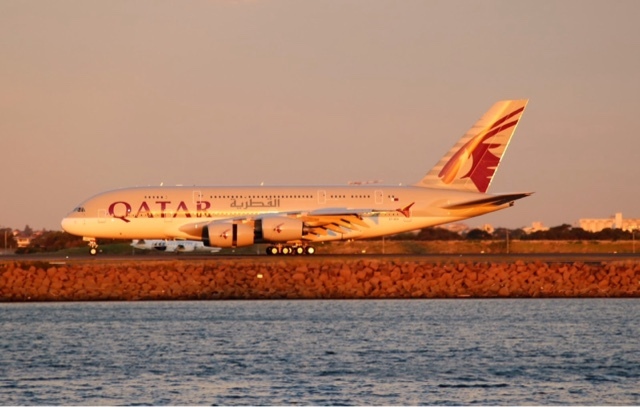 "Melbourne Airport will continue to work closely with all airlines to accommodate any changes in their operational plans," an airport spokeswoman said. On the 8th November I posted a story about someone hacking into aircraft / tower transmissions and making hoax calls. This is the follow up story. A 19-year-old Australian man faces up to 20 years in prison after allegedly sending fake air traffic control transmissions and endangering the safety of aircraft at two Victorian airports. An investigation involving the Australian federal Police, air navigation provider Airservices Australia, Victoria Police and Communications and Media Authority (ACMA) and Victoria Police used a range of technologies and techniques’’ to track down the source of unauthorised transmissions. Police allege there were 16 separate unauthorised radio transmissions at Melbourne Airport and Avalon Airport causing interference with air traffic control between September 5 and November 3. One call reportedly caused a Virgin Australia flight to abort a landing. Paul Sant, from Rockbank in Victoria, was charged with four counts of endangering the safety of aircraft and one count of interference likely to endanger safety or cause loss or damage. He appeared briefly in Melbourne Magistrate’s Court on Tuesday and was remanded until next week. “The current security measures in place for the airline industry are robust, and the traveling public should be reassured we are treating this matter appropriately,” acting Assistant Commissioner Chris Sheehan said in a statement. Airservices said appropriate procedures, processes and systems had been in place to ensure the safety of aviation operations at Melbourne and Avalon airports. Tiger Airways (Australia Pty Limited) commenced operating domestic flights in Australia on the 23rd November 2007 from its home base in Melbourne. The airline opened a second base in Sydney in July 2012 and a third base was opened in Brisbane in March 2014. March 2016 Tigerair Australia announced new international services from Melbourne, Perth and Adelaide to Bali; Tigerair Australia use three newly reconfigured Boeing 737-800 aircraft which Tigerair obtained from Virgin Australia for these routes. Tigerair Australia is a low cost carrier which operates 14 A320-232 aircraft domestically to 13 destinations around Australia and 3 B737-8FE to Bali Indonesia . In July this year Virgin Australia and Tigerair confirmed that the entire A320 fleet will be replaced with Boeing 737-800s by 2019. The airline currently has191 aircraft and has 223 on order. In 2014 the airline became the global launch customer of the first Airbus A350. In June 2015, Qatar Airways achieved a major accomplishment receiving the Skytrax Airline of the Year 2015 accolade for a third time. This year Qatar Airways won World's Best Business Class; Best Business Class Airline Lounge and Best Airline Staff service in the Middle East at the Skytrax Awards. They announced a commitment for 100 Boeing aircraft: 10 777s, 30 787-9s and 60 737 MAX aircraft. One of the biggest orders in the airline’s history, worth more than US$90 billion, the announcement brought the total number of aircraft the airline has on order to more than 350. Earlier in the day we had a Singapore A380 over fly Brisbane on its way from Auckland to Singapore. The exciting thing about this is; it was 9V-SKI in the 50th livery which I was quite pleased with as this was my first time sighting this aircraft. Then at 5pm I headed off to our local light aircraft airport, Archerfield, because at 6.00pm I was going on a 30 minute joy flight around Brisbane with a small group of people. One couple were celebrating a wedding anniversary and the other lady was celebrating a divorce... go figure, and me; well I was just very excited to be there. I got there around 5.10 and knowing Archerfield was a way point for arriving aircraft into Brisbane; I did some plane spotting while I waited. After a few photos with the aircraft and pilot; Our pilot, James, gave us a serious briefing on the aircraft and safety features. Once completed and we were all strapped in with headphones on we taxied out for runway 10 L.
We got airborne just after 6.15pm and headed north towards the City. We played around with our altitude hovering between 1,500 feet and 2,500 feet. We made a few circuits around Mount Coot-tha and then flew over a local reservoir. Before to long it was time to head back to Archerfield landing on 10L at 6.38pm. After the flight we had a lovely dinner with prawns, chicken and salad. There were crackers and dip and of course a lovely cold beer or wine. I had to work the Northside of Brisbane today so before I headed off to do my calls I thought; since I was driving straight past the air-port; I would call in to see what was around. I was happy to see at least one of the two Volga-Dnepr Ilyushin 76's that have been in Brisbane for a few days was still there. Parked next to the Volga was a QANTAS A330 in the new livery and at first I just wrote it off as QPJ but when I checked the rego I was very excited as it was actually another A330 in the new livery. VH-QPJ was the first and this one was QPH, they had a tug hooked up and the stairs were pulled away while I was there, so I waited for it to push back and be towed to the international bay. I then left and did my calls; on Friday we close early at 3.30pm so I headed to the airport for an hour or so before heading home. I wasn't there 5 minutes when a Global Express 6000 came in; so that was a great start for the afternoon.